Days as a Cove Guardian are usually very long days! You get up very early in the morning, as the hunting boats leave the harbour very early. 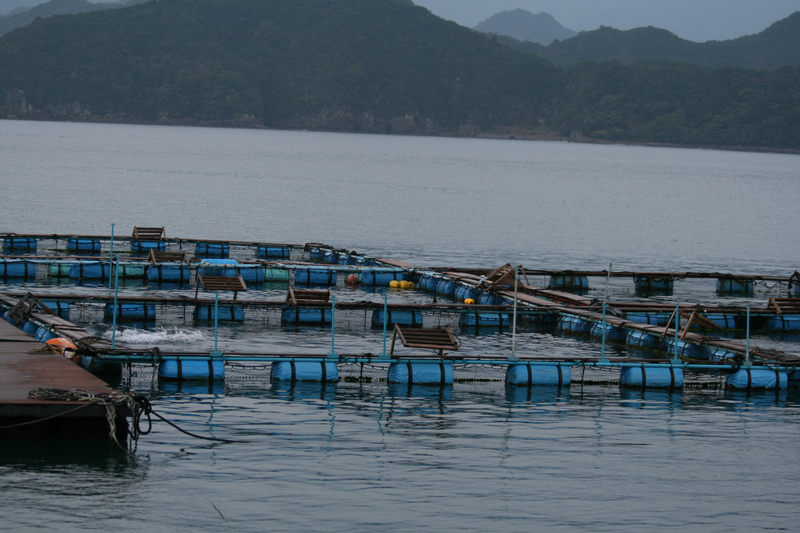 So you get up around 04:00, drive to Taiji and take your position at Taiji harbour. You see the killers walk by very very close, you all can imagine how you feel looking into their eyes and see them walking „to work“ as it is the most common thing in the world. 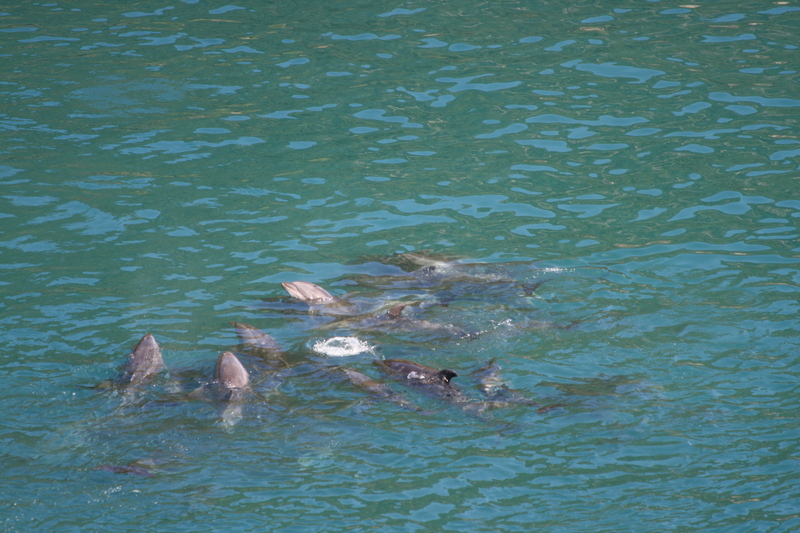 Then they enter their boats by 2 killers and leave the harbour in order to find a pod they can chase into the killing cove, kill them and taking captives. We all never understood why they all wear white rubber boots. They try not to look into our direction, but some of them do. Every single day, you stay there, being chased by the police behind you and eyeball to eyeball with the killers … all you can do is showing the world how wrong this is and how Japan positions itself as a cruel nation not caring about wildlife, sustainability and animals. 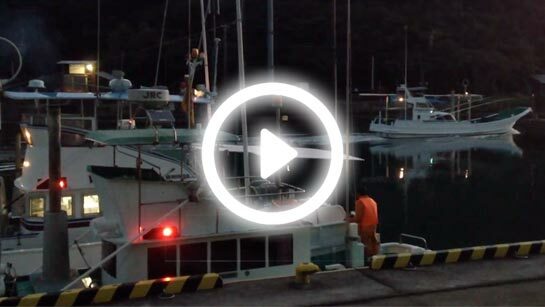 Banger boats leaving Taiji harbour! Almost 1 year ago, I started my first trip to Japan. Actually I did not feel travelling to Japan, it was more an unknown destination with many pictures in my mind. During the complete rtrip until I finally reached this small enclave of atrocities my mental cinema was turned on. The trip started in Frankfurt with direct destination to Osaka, which was a comfortable flight, only half occupied. Arriving in Osaka in the morning, I made my way to the train station at the airport, booked my tickets to Katsuura and started an approx. 4,5 hours train ride. Still thinking about what I will expect to happen the next weeks and made my way being awake for approx. 20 hours now. 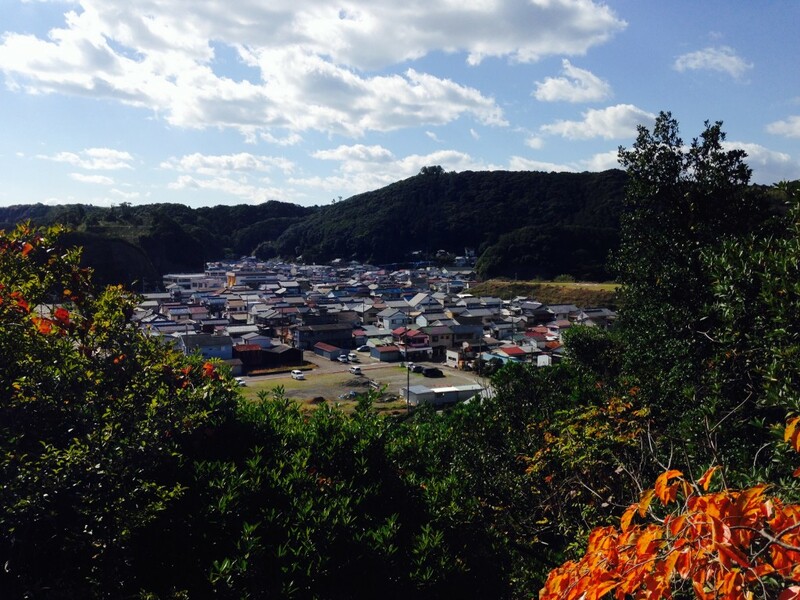 Arriving in Katsuura in the afternoon I was picked up by lovely Cove Guardians. It was a subdued mood, as this morning there was a successful driving hunt and many bottlenose dolphins were killed and selected for captivity! Unfortunately he is still right! 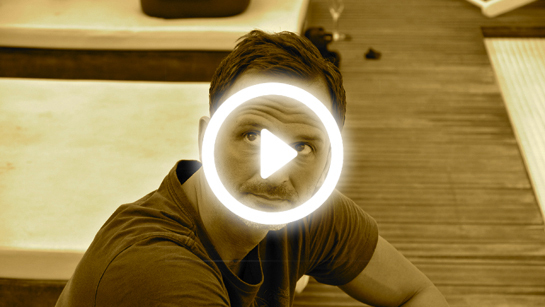 … close your eyes for a moment of silence. breathe constantly and steady. imagine you are under water, playing with your family and swimming through the broad expanses of the ocean, looking for fish and just be. your mother, father and aunts are with you in harmony – deep and blind understanding for each other. these are your best years and besides finding food is getting harder since several years and the increasing noise pollution, you love your unburdened and happy life in the ocean. suddenly you hear a harrowing, maddening sound, that confuses and frightens you. your family huddles together and you do not really know what is happening, but this harrowing wall of sound drives you in a certain direction. it keeps confusing you for hours and your body and mind becomes tired. you find yourself in #thecove, you have never been here before, you here undefinable noises and voices from beings you never experienced before in your life. your family is frightened, everybody is huddling together in fear … the broad expenses of the ocean become tighter and tighter, no escape and suddenly the blue water turns red … your last breath! 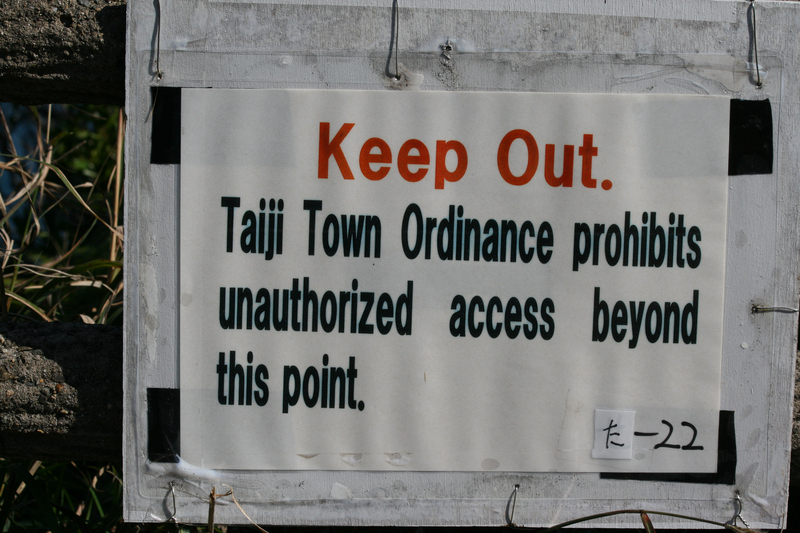 The moment I arrived in Taiji I felt the negative vibes of this small village! Travelling there, I did not quite know what to experience the following days and weeks, but all I visualised what I will see and encounter was nothing compared to the reality I faced. I witnessed and experienced the worst things one could see and I still cannot believe and understand how humans are able to disrespect ocean life, as the fishermen of Taiji do! Everything was so surreal but unfortunatley it was not! All the greed, the dolphin killing, the blood, captivity, screams, the suffering dolphins, the killers … was real! Taiji will for ever be in my heart and my thoughts and I will come back if necessary to stop this insanity – it is just NOT right! 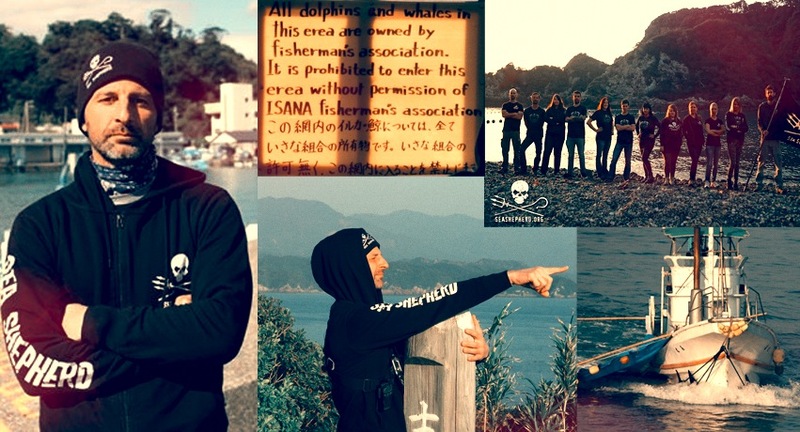 I am very proud to be a part of the Cove Guardian family and the picture collage should express some of my experiences and „work“ in Taiji! Der Internationale Gerichtshof in Den Haag stoppt Japans Walfänger im Südpolarmeer. Begründung: Das Walfang-Programm diene nicht wissenschaftlichen Zwecken. Japan muss laut einem Urteil des höchsten UN-Gerichts den Walfang in der Antarktis beenden. 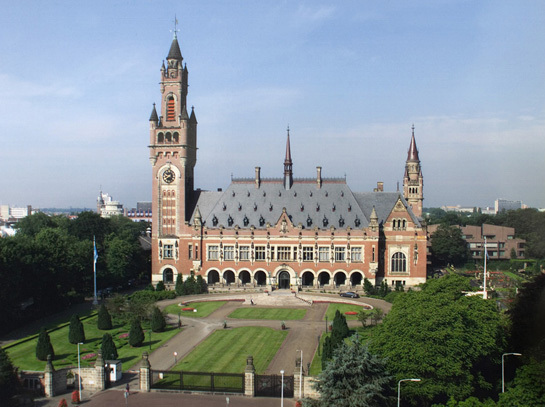 Der japanische Walfang diene nicht wissenschaftlichen Zwecken, urteilte der Internationale Gerichtshof (IGH) in Den Haag. Damit fällt die Begründung, mit der Japan seit Jahrzehnten das internationale Walfangverbot von 1986 umgeht. Japan bezieht den größten Teil des Fleisches aus dem Schutzgebiet um den Südpol. Die japanische Regierung hatte schon vor dem Urteil erklärt, dass es sich dem Spruch der 16 Richter beugen werde. Das Urteil des UN-Gerichts ist bindend, eine Berufung ist nicht möglich. Australien hatte 2010 gegen das japanische Walfangprogramm in der Antarktis Klage eingereicht und argumentiert, die wissenschaftliche Forschung sei für Japan nur der Deckmantel für kommerziellen Fang. Nach Angaben der australischen Regierung haben japanische Walfänger seit 1988 mehr als 10.000 der Meeressäuger getötet. Neuseeland hatte sich der Klage Australiens angeschlossen. Die Internationale Walfang-Kommission hatte schon 1986 den kommerziellen Walfang verboten. 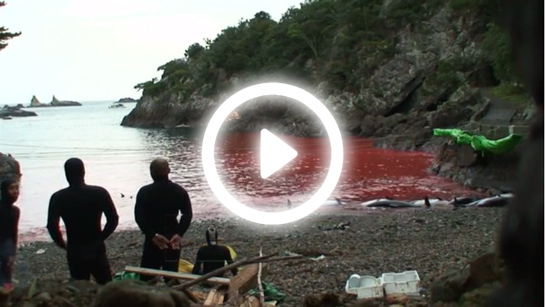 The graphic videos, embedded below, show the dolphin slaughter from four different camera angles. 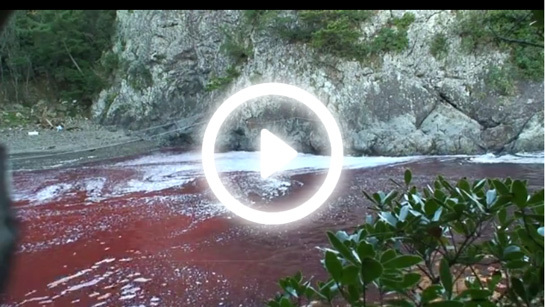 This footage was captured in Taiji, Japan by OPS for the film The Cove. It is the full tape, has been unedited and unaltered. … this statement is told by people who do not face the real truth and who try to close their eyes to all this suffer and pain in the world that animals endure. with closing their eyes, they try to mak it non-existent for them! but it is not that easy … people have to wake up!!! the dolphin hunting season ends and after a short break the harpooning season starts. currently the coastal harpoon whaling ship is being prepped just outside taiji fishermans union. 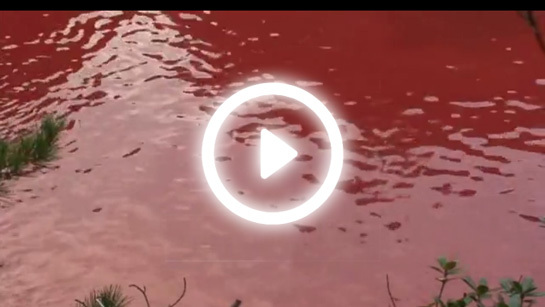 the horror never seems to end in taiji, this little village in japan, also known as hell on earth. … though the Taiji dolphin hunting season officially ended on 26th February and the fishermen currently clean up the harbour with removing tarps etc., we all should have a moment of silence for the captive ones!!! I lately read an article from a dolphin hunter of the Solomon Islands in the South Pacific and he claimed that a life of being imprisoned for a dolphin is much much harder rather than being killed! Currently as the so called trainers in Taiji had some time to „work“ with the enslaved captive dolphins to train them ugly tricks, the time has come to transport the dolphins by transfer trucks to unknown marine parks all over the world. The police always stands guard to protect these transfers. The trained dolphins are the real business for the fishermen in Taiji and bring between 100.000 – 150.000$ each. Quite a few lose their lifes, because of the horrible experiences losing their family members, stress and diseases while being transfered. PLEASE DO NOT BUY A TICKET TO ANY MARINE PARK, SWIM WITH DOLPHINS FACILITY, SEAWORLD OR ANY OTHER FACILITY ENSLAVING DOLPHINS AND/OR ORCAS TO STOP THIS CAPTIVITY INDUSTRY WHICH IS MAINLY PROVIDED BY CETACEANS FROM TAIJI / JAPAN !!! DO NOT SUPPORT DOLPHIN SLAVERY!! !